I'm pretty positive I'm not the only one out there now, who is gaining followers on Instagram but also losing them at a rapid rate - thus never really actually moving anywhere. I've grown so frustrated with it, that twice over I contemplated making my account private, but then - why give in. At first I really did think it was just me, I thought I'd imagined the number of followers I had, thinking I must have mistaken a 3 for an 8, something along those lines. But slowly after time and a few emails I received, I clued up to exactly what was going on. It's the follow and unfollow game. A really crappy, immature technique to try to lure people into following you. You'll often notice it if you post hashtags on your pictures (I'll go into why in a moment) you will soon be followed by accounts with tens of thousands following them, however notice the amount they follow, usually well under 500 - and you're meant to think you're a 'chosen one', don't be fooled. In fact you need not remember their name as they will for sure unfollow you within 24 hours, it's a ridiculous and quite frankly irritating method for them to gain higher numbers, as they hope when you see their follow, you'll return it. Now, why and how do they have the energy? Well, someones doing it for them. Oh yes, in fact I was emailed myself from a company along the lines of 'So Gro' I believe, they pretty much harassed me with around 8 emails - all ignored of course. They spoke about how they'll help me 'grow' my following, aka. faking my way - to what I'm not actually sure as let's bring this down to what it is - a social media platform, just like Myspace, Bebo and all of the other platforms that have died out, Instagram might have it's time but I'm certain it too will be one for the memories in 10 years time. So these companies use your IG, find people using the same hashtags you use and they trick them, they comment, like and even follow users in batch to make it seem like they're interested and then just delete all evidence within 24hrs in a hope some of the batch were naive enough to return favours - thus boosting the users popularity. It's so sad, I originally thought I was doing something wrong or offending people with my posts, but I'd slowly notice the same accounts follow me and think 'Didn't you follow me yesterday?'. It's such shady business in my eyes and if it wasn't affecting me and my accounts, I'd find it laughable, but it's not, it's downright annoying. I'm sick of reaching my self set milestones, to then drop below it again. It constantly feels like I've ran a marathon and someone keeps moving the finish line another 10m back every time I reach it. 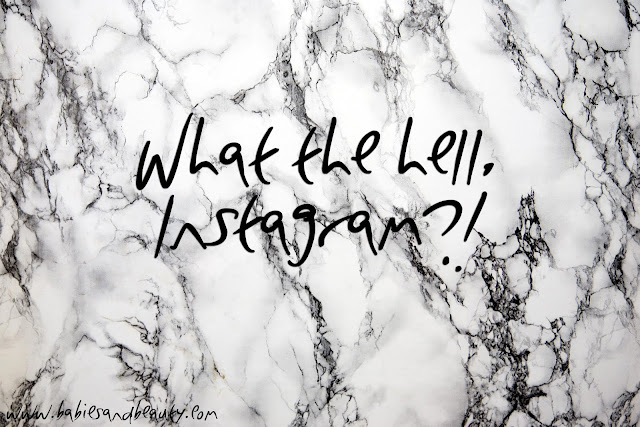 Have you experiences the Instagram fake follows, did you too wonder wtf was going on? This is so true and so blooming annoying, i get it all the time! It's so irritating. I find the best way is to get one of those apps that tells you who has unfollowed you and when people do this game just block them. It harms their "goodness score" on IG so should damage their reach if enough people do it ha ha.